We've revamped this page to Include Several different styles for both the Softails and the Sportster & Dyna's, as they fit on your Shock Bolt to the Sporty & Dyna's and the Swingarm bolt to the Softails. CATEYE LICENSE PLATE Brilliant Starburst Optics. Permanently Sealed Light Capsule. 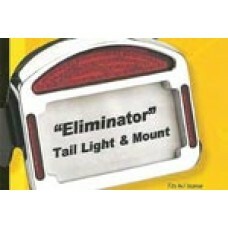 Three ..
​Eliminator Tail Light and Mount Clean up the clutter on the back of your bike. 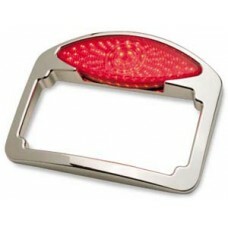 Combine sever..
Euro License Plate Holder This side license plate holder & bracket with lightning is a real eye.. 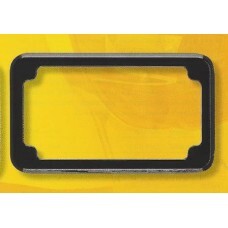 SMOOTH BILLET LICENSE PLATE HOLDERS WITH NO BOLTS SHOWING!!! 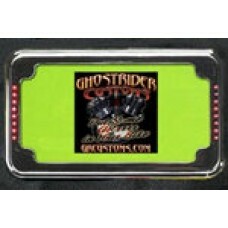 These " CHROME or BL..
Sporty & Dyna LED Signal License Plate These License Plate Frames are not onl..